After witnessing an all-too-brief run-in with LG's hot new slice of cocoa last week, the BL40 has finally found its way into the appreciative hands of a few Russian tech bloggers. 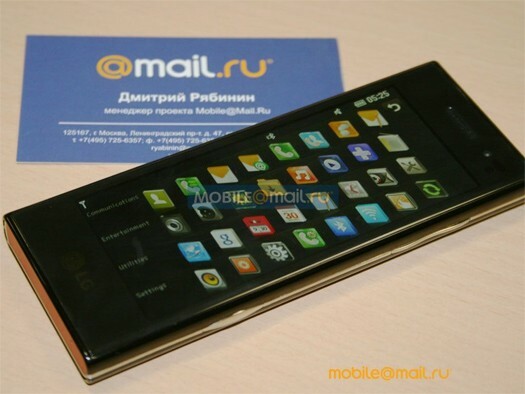 Over at Mobile@Mail.ru, the elongated handset has splashed down and taken a moment to pose for the camera. There's nothing here that your mother wouldn't approve of, but since when is that an indicator of something's worthiness? Trust us, you'll want to give that read link some lovin'. Some good, good lovin'. LG's lengthy BL40 gets the hands-on treatment it deserves originally appeared on Engadget Mobile on Thu, 06 Aug 2009 02:24:00 EST. Please see our terms for use of feeds.